How can true collaboration drive successful school design? At Lungfish Architects, we pride ourselves on being personable and hands-on – we place our clients at the centre of our design team and involve them throughout all stages of their project. 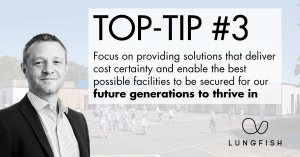 In the latest issue of The Voice, a publication from the Institute of School Business Leadership (ISBL), associate director Richard Daw shares his top-tips to creating schools that put pupils and educational requirements at the very heart. 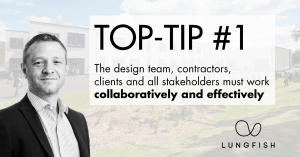 In the spring issue, Richard also goes on to explain why decision making is crucial and how good engagement, collaboration and an open dialogue is the key to achieving success. Published three times a year, The Voice is the official membership magazine of ISBL, produced to reflect the work of the Institute and the activities of its membership. It supports the growing role of school business leaders in delivering school-led improvements in an increasingly autonomous and business-led environment. Richard’s full article is available to read in the latest issue of The Voice. Click here. 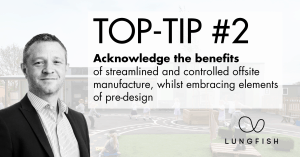 To read Richard’s blog on modular school design, click here. To meet Richard and the rest of the Team, click here. Lungfish Architects Ltd is registered in England and Wales. Registered office address: 2nd Floor, City Gate West, Tollhouse Hill, Nottingham, NG1 5AT. Company registration number 09828111. VAT registration number 236 0653 21. Lungfish Architects Ltd is part of Scape Group Ltd, registered in England and Wales, company registration number 05660357.